2018 has barely begun, and so has the fight to preserve net neutrality. January 3 was the first day of business in the California state legislature, and state Sen. Scott Wiener used it to introduce legislation to protect net neutrality for Californians. As the FCC has sought to abandon its role as the protector of a free and open Internet at the federal level, states are seeking ways to step into the void. Prior to December, the FCC’s rules prevented Internet service providers (ISPs) from blocking or slowing down traffic to websites. 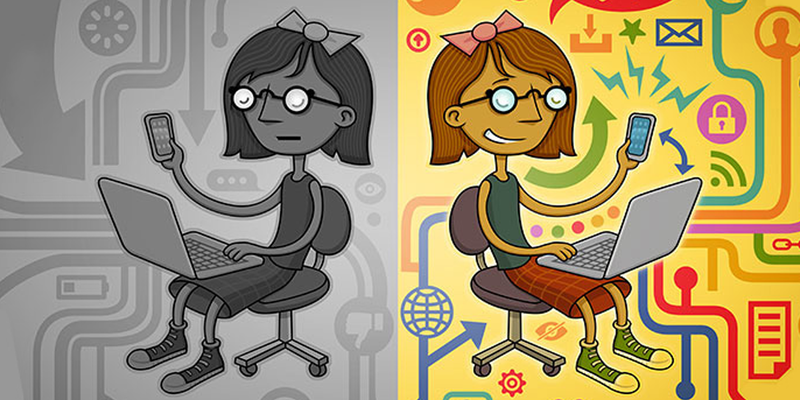 The rules also kept ISPs from charging users higher rates for faster access to certain websites or charging websites to be automatically included in any sort of “fast lane.” On December 14th, the FCC voted to remove these restrictions and even tried to make it harder for anyone else to regulate ISPs in a similar way. Wiener’s proposed legislation, co-authored by ten state assembly and Senate Democrats, has a number of ways to ensure that telecom companies operating in California adhere to the principals of net neutrality. Washington and New York have similar bills in progress and Wiener isn’t even the only California legislator proposing legislation, as state Sen. Kevin de León has introduced a net neutrality bill as well. The substance of the legislation is still in the works, but the intent is to leverage the state's assets as a means to require networks to operate neutrally. In essence, the California bill would require net neutrality of businesses that operate within the state of California if they are relying on state infrastructure or state funding to provide the service. EFF supports this bill, as the FCC’s actions in December mean states must provide whatever protections they can to safeguard the Internet as we know it. However, state laws can only restore network neutrality for some Americans, and only a federal rule can ensure that everyone in the country has access to a neutral net. Even as state legislatures craft bills, state attorneys general are joining public interest groups and members of Congress to challenge the FCC in federal court. Congress has the ability to reverse a change in federal regulation—which is technically what the FCC’s rule change is—with a simple majority within 60 legislative days of the order being published in the federal register. That means you can ask your member of Congress to save net neutrality now, since the rule is expected to be published and the vote therefore required this year.